Size — Pico TOOLS™: Mount 4 units side–by–side in a 1U rack space with the optional RK–4PT rack adapter. 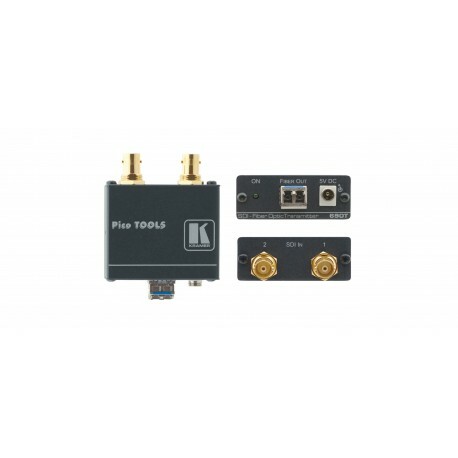 The 690T is a high−performance fiber optic transmitter for SDI video signals up to 3G HD−SDI. The 690T converts two 3G HD−SDI signals to single−mode fiber optic and the 690R receiver converts them back to the two original SDI formats. Compatible with the fiber optic matrix VS−88FO. Inputs — 2 SDI on BNC connectors. Outputs — 2 single–mode fiber optic on LC connectors. Kramer Equalization & re‑Klocking™ Technology — Rebuilds the digital signal to travel longer distances on the coax cable, 200m (HD–SDI) & 100m (3G HD–SDI). User manual for the Kramer Electronics 690R/T Transmitter/Receiver. 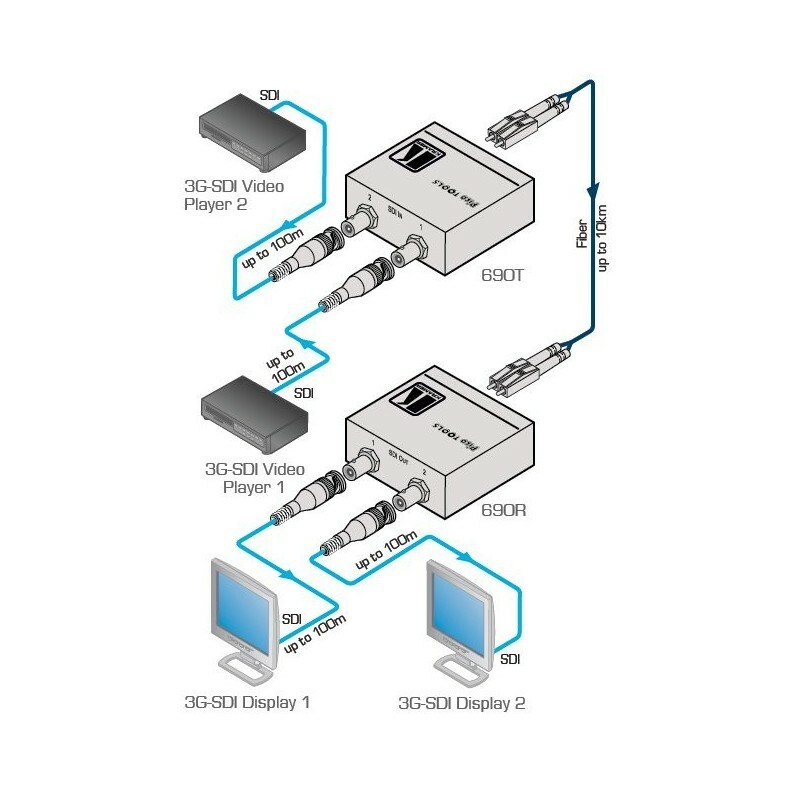 Technical data sheet for the Kramer Electronics 690T 2-Channel HD-SDI Fiber Optic Transmitter.